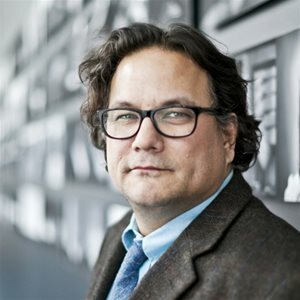 Jesse Wente is an Ojibwe writer, broadcaster, producer and speaker. Born and raised in Toronto, his family hails from Chicago and the Serpent River First Nation. Jesse is best known for his 22 years as a columnist for CBC Radio’s Metro Morning, Jesse spent 11 years with the Toronto International Film Festival, the last seven as the Head of TIFF Cinematheque. Jesse is currently co-producing his first film, a screen adaptation of Thomas King’s best-selling book, The Inconvenient Indian. An outspoken advocate for Indigenous rights and First Nations, Metis and Inuit art, he has spoken at the International Forum of Indigenous Peoples, Smithsonian’s National Museum of the American Indian, the Canadian Arts Summit and numerous Universities and Colleges. Jesse currently serves on the board of directors for the Canada Council for the Arts and the Toronto Arts Council and was recently named the inaugural recipient of the Reelworld Film Festival’s Reel Activist Award. Jesse just started a new role as the first Director of the Indigenous Screen Office in Canada.